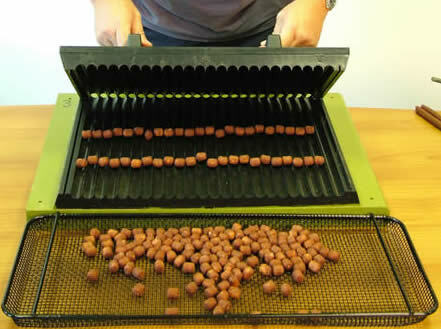 This giant sausage-rolling table has been specifically designed to roll sausages for the entire range of Rolaball Baitmasters. 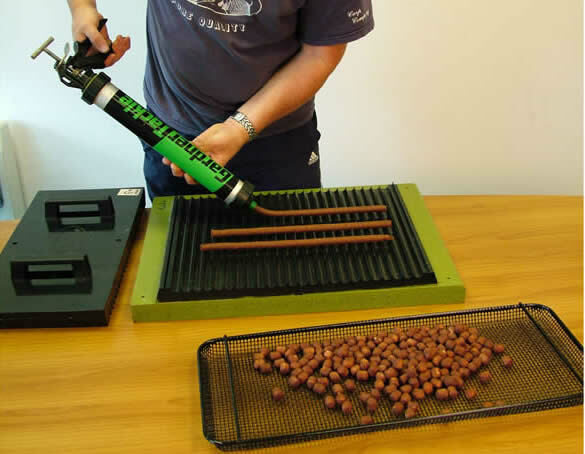 It would seem that many people prefer a rolling table to a Sausage Gun, so here it is! 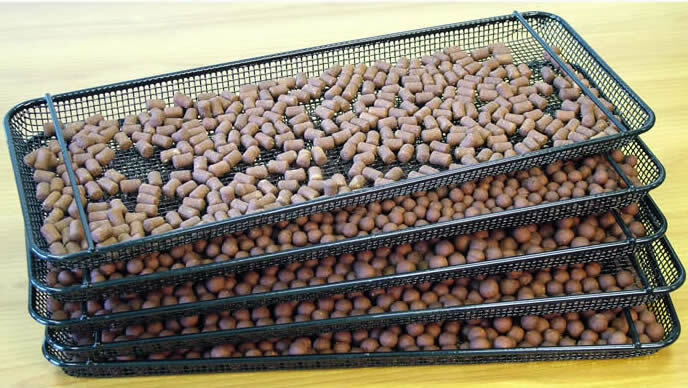 Purpose built self-stacking wire trays for air drying and storing boilies. 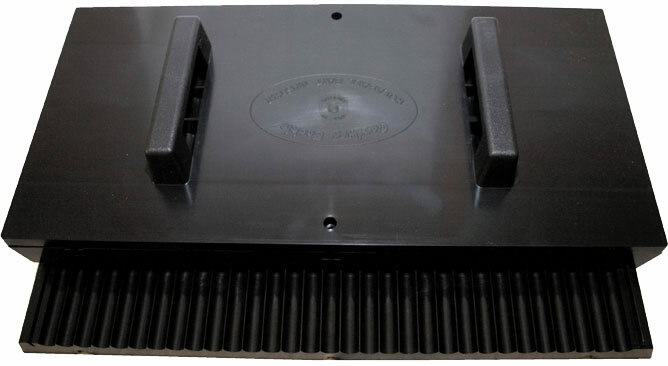 Black plastic coating for easy cleaning. Mesh ensures baits can be isolated from one another if required. 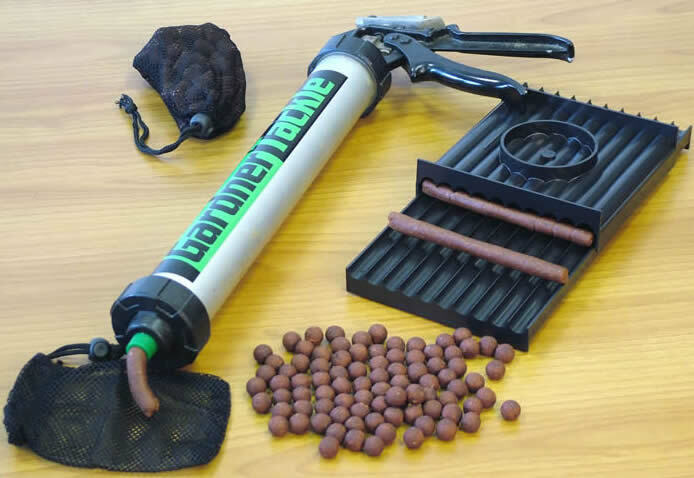 Fast becoming the popular way of storing and preserving baits. Length=61cm, Width=25cm, Height=4cm. The same basic internals as the Deluxe Sausage Gun but with a different cam to provide lower gearing on the compression stroke makes the XT Gun much easier on the wrists - especially with those harder mixes. A word of caution here; there is a practical limit to how hard a mix can be extruded through a gun, even a tough metal one. 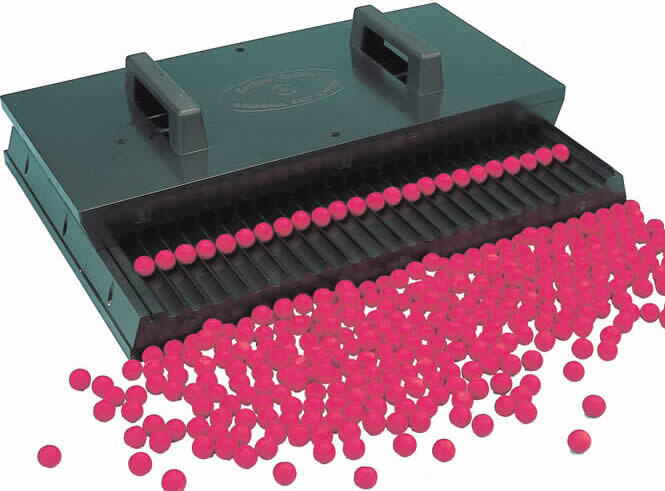 If you are having to squeeze the trigger too hard then the mix is too stiff and will be difficult to roll anyway. Capacity 600ml. The 'Big Daddy' of them all, the Rolaball Baitmaster will roll enough bait to start a business, which is why we supply so many specialist bait firms with Baitmasters of every size.With a little practice you canproduce about 80 baits at a stroke, perfectly formed and exactly to your specification. The top section is fitted with Easi-Grip handles and the base can be fixed to a board or work surface. Length=51cm (20"), Width=38cm (15"). Available from 10mm to 24mm.